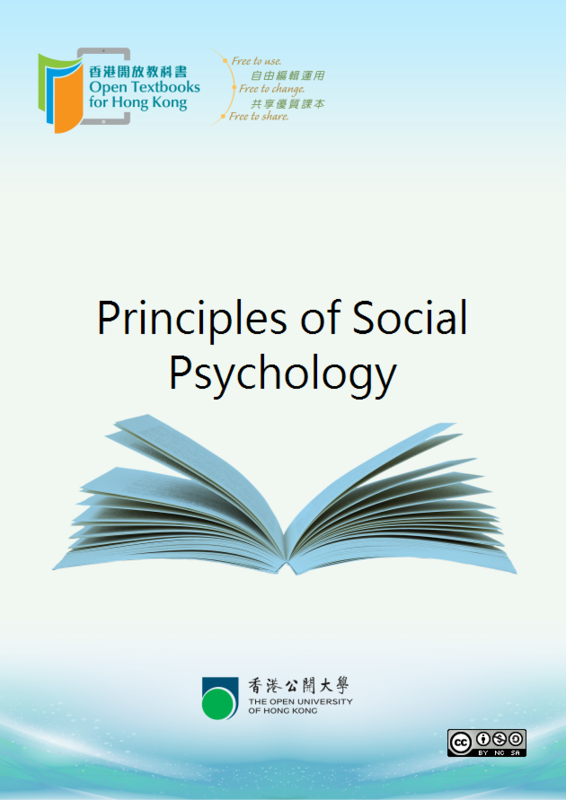 "Principles of Social Psychology" is one of the free open textbooks for Tertiary level. Feel free to use, adapt and modify the content to your own needs, and share the improved content with others because the book is offered under Creative Commons (CC) license. It allows users to repurpose the materials under the condition that original authors’ contribution is acknowledged. This selection and arrangement of content as a collection is copyrighted by Charles Stangor, University of Maryland. It is licensed under the Creative Commons Attribution-NonCommercial-ShareAlike 4.0 license (http://creativecommons.org/licenses/by-nc-sa/4.0/). When Do Our Attitudes Guide Our Behavior? Which Route Do We Take: Thoughtful or Spontaneous? Trying to explain murders: Do people from different cultures see things the same way? Research Focus: Does Power Corrupt? Why Is Physical Attractiveness So Important? Can We Reduce Negative Emotions by Engaging in Aggressive Behavior? Who Cooperates and Who Competes?